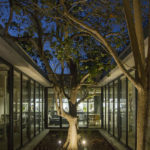 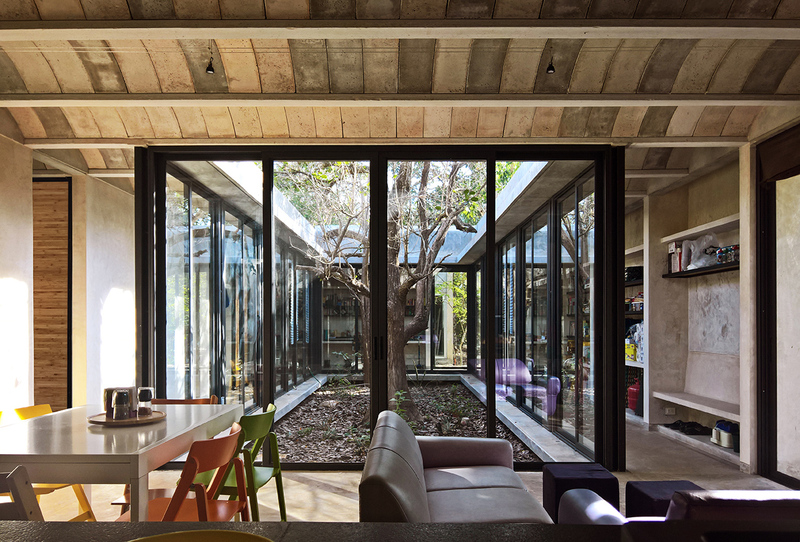 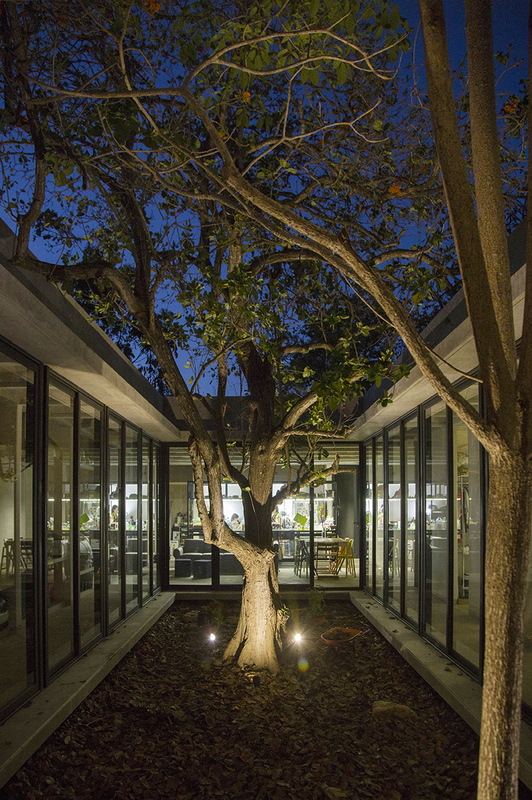 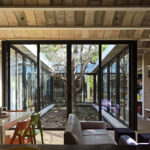 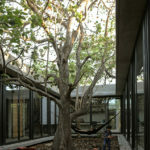 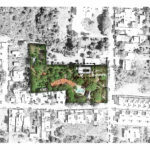 General aspects: This is a house that protects a tree and treasures a garden as the core of a minimal domestic program. 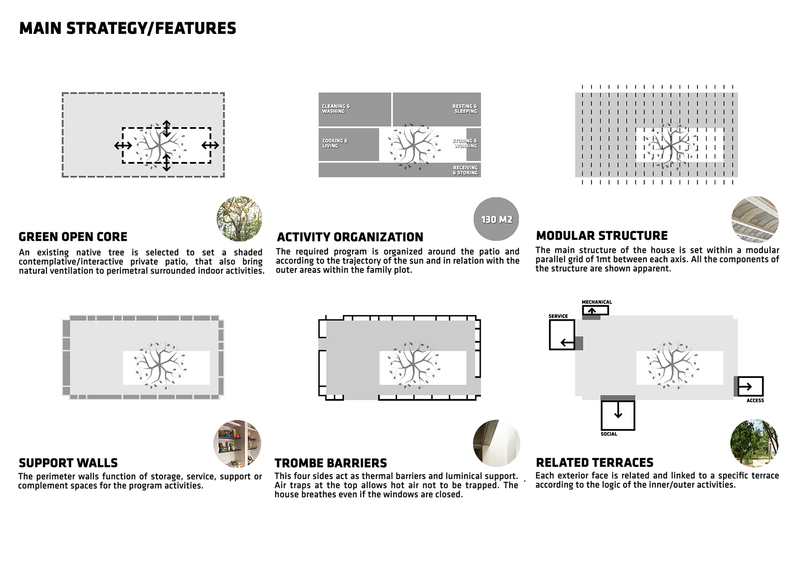 Their perimeter meticulously defines its connection to the outside through four equipped walls, with only one access each, in response to the climate (they act as trombe barrier), support to their inner activities and its outer relation of being placed on a multi-family plot. 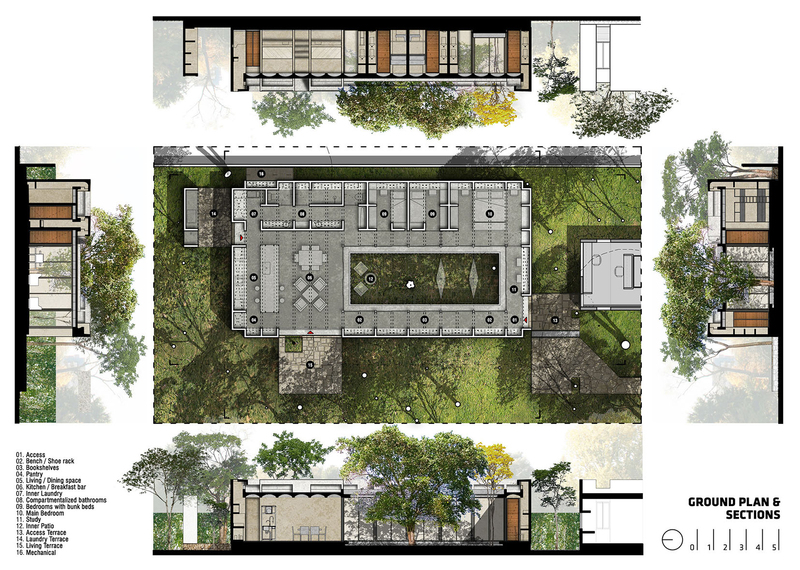 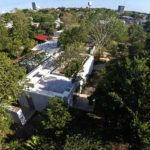 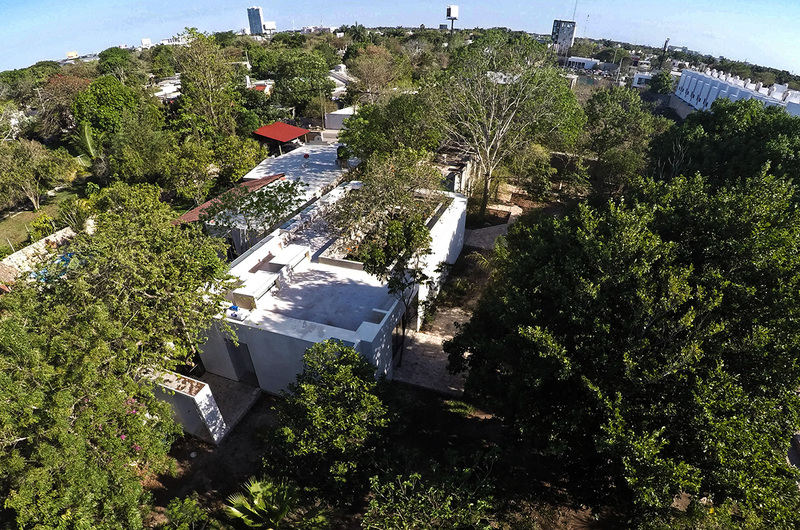 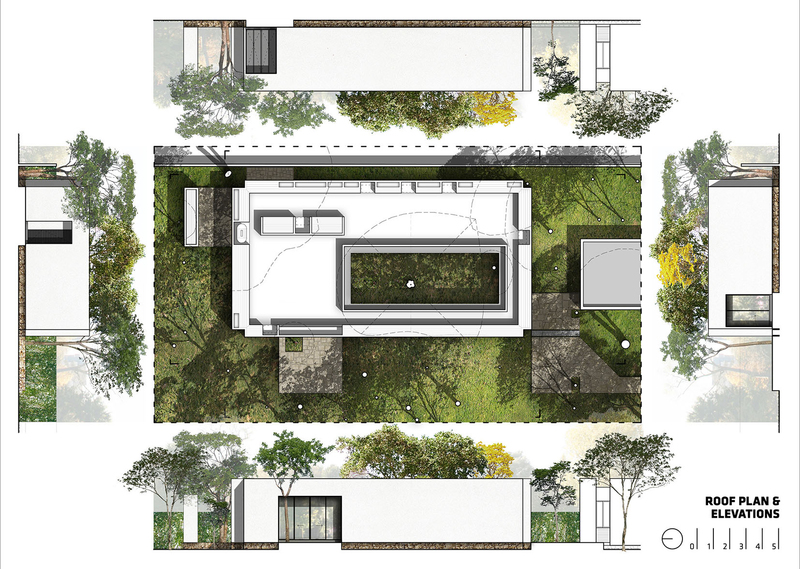 DESIGN RESPONSE and PROGRAM: An existing “grandfather tree” is the starting point to a native shade garden that will grow in the inner courtyard of the house as its core and will consolidate a small sample of native vegetation. 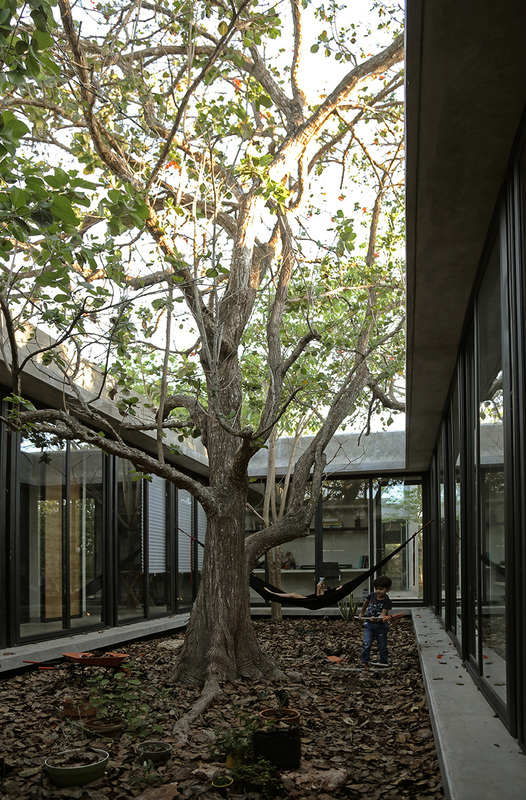 Thus, the concrete structure give tribute to the vegetal structure, framing its phenological transformations (sun, moon, rain, etc.) 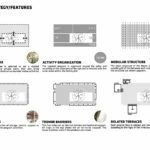 with all that this entails (air purification, thermal comfort, reduction of stress and anxiety, among others). 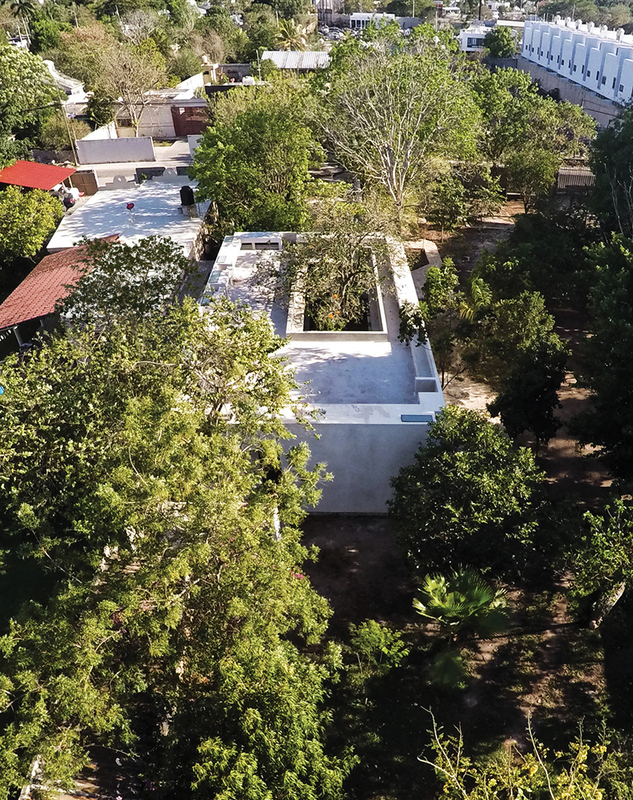 The domestic program is surrounded and organized in 4 wings oriented and programmed each with specific activities: access and study (south), store and shelter (west), sleep and serve (east), and cook and stay (north). 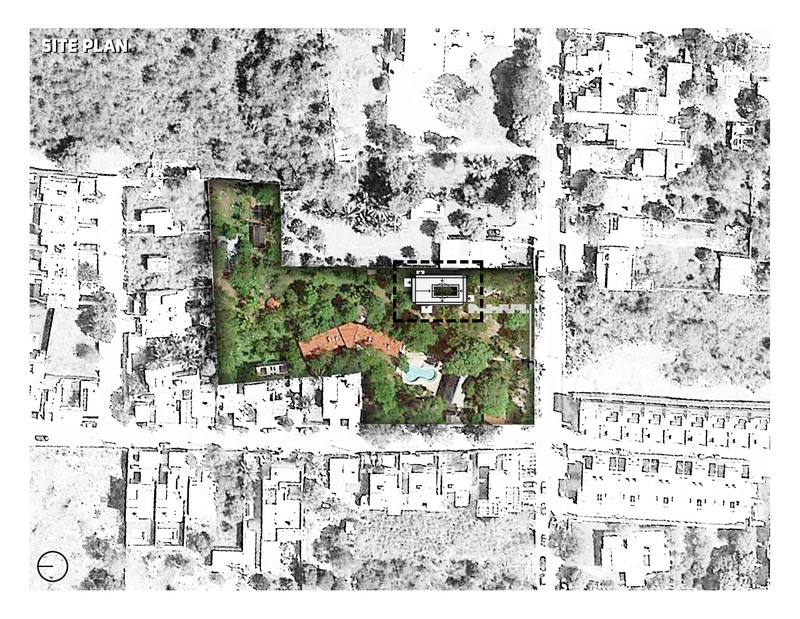 Additionally, each side relates to the main lot through a single access in each facade. 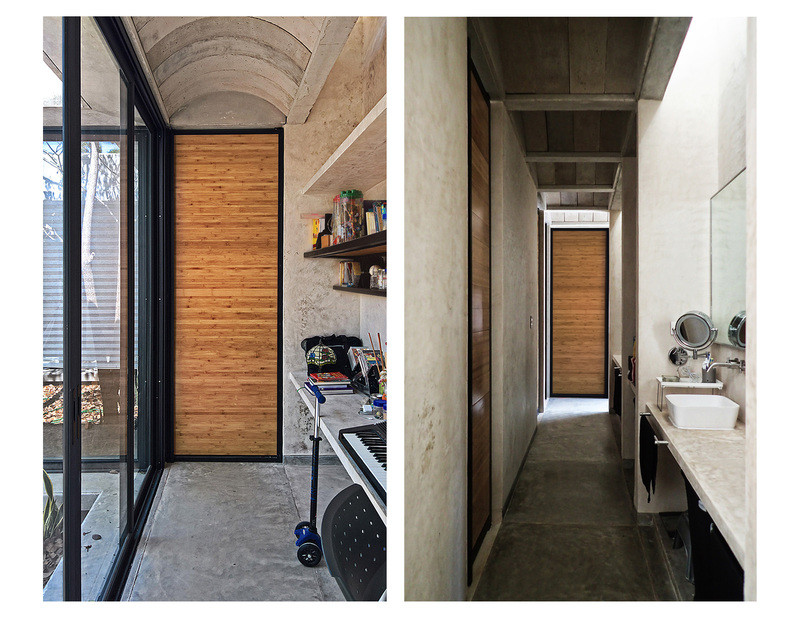 MATERIALITY: All the involved material for the house is apparent and some elements with local and common plasters, valuing the natural aesthetics (texture, vain and grain) of the aggregates and spills based on concrete, offering an artisan perception that not only gives an added value to the atmosphere but also contribute to lower the inversion. 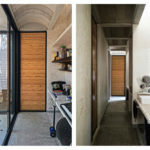 -Why did you choose this category?.. 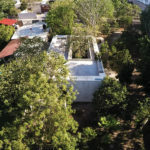 The project is Located within a family plot that incorporates other houses and reunion support services.The fact of being a land with green and recreation areas causes to be repeatedly visit for events and ceremonies that are not always part of the family routine, and sometimes become intrusive and uncomfortable if one lives there and does not want to form part of it. 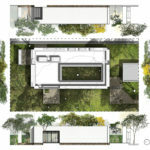 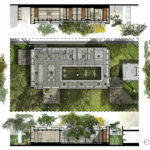 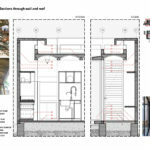 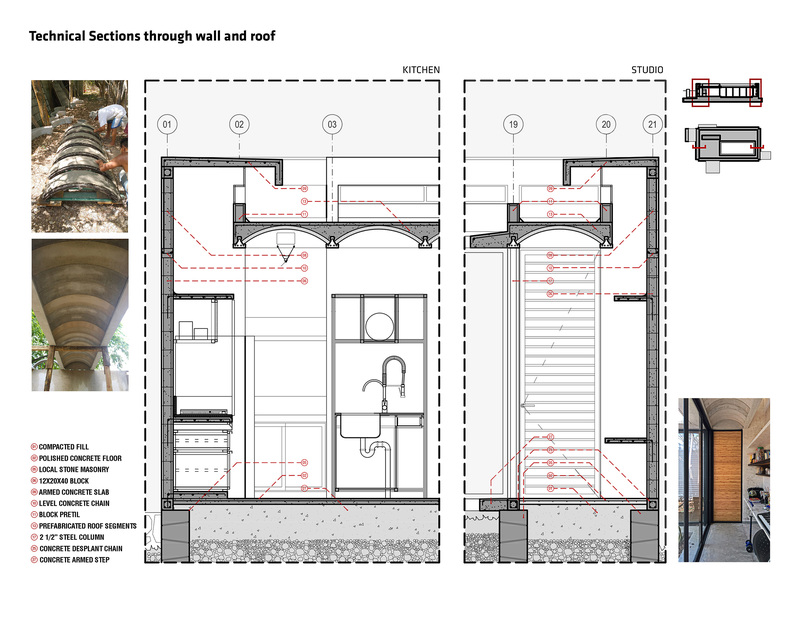 That is why the House design consider its own personal living place within the multifamily communal parcel in order to close or open to eventualities and having, at the same time, their own green space individually.